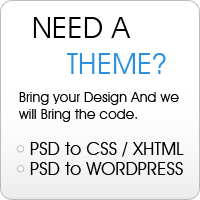 Web design is a craft that involves many skills. Smartly combining visual and textual content with functionality and usability is crucial to the success of any web project. We strongly believe that a good web design should first of all serve as a vehicle for delivering content. By using standards like semantic HTML and CSS we are able to keep our code light and efficient, in acceptance with international web standards. We deliver reliable and strong solutions that won’t break at the crucial moment when thousands of visitors try to access your site. Contact us for further details and price quotes.